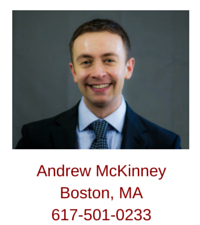 Attorney Andrew McKinney is an experienced exclusive buyer agent loyal to homebuyers, with an office located in the South End neighborhood of Boston. Andrew helps first-time and experienced homebuyers purchase real estate in Boston's neighborhoods, including the South End, Beacon Hill, Midtown, Seaport District and South Boston among other neighborhoods, as well as communities surrounding Boston, including Cambridge, Brookline Arlington, Somerville and other cities and towns. Andrew can be reached using email or by calling his mobile (617-501-0233). Andrew is a licensed real estate broker in Massachusetts, is a member of the National Association of Exclusive Buyer Agents, Greater Boston Real Estate Board, Massachusetts Association of REALTORS® and the National Association of REALTORS®. Andrew graduated from Wheaton College in 2000. He earned his Juris Doctor Degree from Suffolk University Law School in 2005. Andrew is admitted to practice law at both the state and federal level in the Commonwealth of Massachusetts. He earned his MBA from Suffolk University's Sawyer Business School in 2011. Andrew is a native of Needham, Massachusetts, and he presently resides in Boston. Andrew can be reached using email or by calling his mobile (617-501-0233). 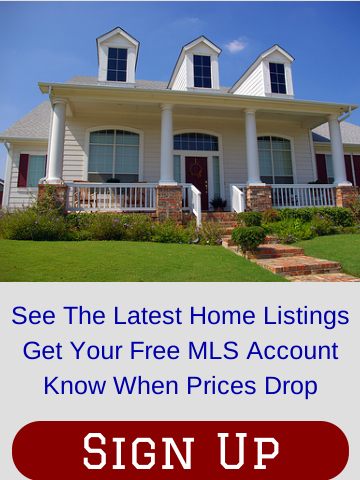 Fill out the form below to see the latest listings in the Greater Boston Area and around Massachusetts. "I really valued the level of professionalism and reliability that Andrew consistently maintained. Further, I appreciated the timely manner in which he responded to my questions, phone calls and emails. Andrew truly made our condo purchase a pleasant experience, and I will highly recommend him in the future as I found his help invaluable." "No pressure approach made the process much easier for me in spite of an aggressive moving timeline. [Andrew] made every effort to accommodate my schedule." Client: Elizabeth & Jonathan J. "Buying our first house was a bit of an overwhelming experience, but our experience with our agent made the whole process much easier. I trusted him, valued his advice, and was constantly impressed with his professionalism and his responsiveness. Thank you!!" "One strength of working with Andrew was his promptness in finding things out, or getting things done. Always very efficient." Client: Christina J. & Michael B. "Andrew McKinney made buying our first home extremely enjoyable and as stress-free as possible! I felt he was personally interested in our well-being and incredibly attentive. In fact, I would now consider Andrew to be one of my friends. He is an extremely savvy and sharp broker - If he didn't know the answer to a question, he quickly found the appropriate point person to get even the littlest inquiries resolved. Both my boyfriend and I feel that Andrew is not only an incredibly talented broker, but a trustworthy, responsible individual.... a perfect combination for this field. I can't thank Andrew enough for showing us the ropes and helping us find our new home." "The thing I most valued was how easy Buyers Brokers Only, LLC made our home-buying process. Andrew McKinney was wonderful to work with and such a professional the whole way through." "I loved my experience with Andrew! Always courteous, timely, professional, and extremely knowledgeable, Andrew made sure that I always had all the information I needed to make the best possible decision for me. Since this was the first time buying a home of my own, there were definitely a few moments where, looking back, I was being unreasonable urgent -- but Andrew not only took it in stride, but made the best of it. I cannot imagine this process without him and feel very lucky to have had him as my broker!"